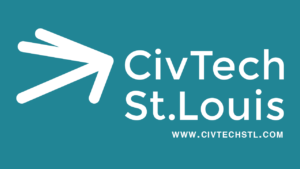 From the start as an idea to fight inequality in the justice system to the creation of a standalone nonprofit, this is a brief overview of the history of the St. Louis Civic Tech and Data Collaborative. In 2015, Eleanor Tutt, Data Management Coordinator at Rise Community Development and Laura Kinsell-Baer from the St. Louis Economic Development Partnership collaborate on a plan of action to build a civic tech and data collaborative ecosystem in St. Louis around the idea of social justice in the court systems. They apply for a grant from Living Cities with Rise as the grantee to bring this dream to reality. On May 1st, 2015, Rise is awarded partner grant from Living Cities to build a civic technology and data collaborative ecosystem in St. Louis. The award was a full amount ($200,000) to build an ecosystem that would address a problem that the region is facing, with the challenge in St. Louis being to fight inequality within the justice system. Two other cities were also awarded this grant, with Boston building their ecosystem around a program to help get youth summer jobs, and Washington DC building their ecosystem around the issue of affordable housing. Learning partner cities including Pittsburgh, Cleveland and San Antonio were awarded $10,000 grants to build ecosystems around the civic tech concept and not a particular project. This initiative was funded by the John D. and Catherine T. MacArthur foundation. YourSTLCourts, the program developed through the Civic Tech and Data Collaborative grant, is piloted in unincorporated St. Louis County. Partnering with the Saint Louis University Law Clinic, The Saint Louis Civic Tech and Data Collaborative holds their first meeting of their Charter Board of Directors to approve by-laws and becomes a standalone, 501(c)(3) nonprofit organization. The Civic Tech and Data Collaborative grant ends, ending the seven month transition of the data collaborative ecosystem from Rise to the new nonprofit.